French trade unions say they will do everything they can to stop a bill which would impose new conditions on strikes in the aviation sector from being passed into law. They plan to hold a week of action from 6-10th of February to protest against the proposals which were approved in the French lower house of parliament early on Wednesday morning. 'Place de la Madeleine' food hall opens at Paris Orly Airport. Paris Orly Airport recently completed the opening of a fine food hall, Place de la Madeleine, at its West Terminal. The hall, which opened in December last year and features a number of leading fine food brands, is part of operator Aéroports de Paris' (AdP) commitment to enhancing the fine food and dining experience at Parisian airports. “We wanted to give this new facility an identity that would resonate with the echoes of Paris, its history and its magic, which is why we chose the evocative name of ‘Place de la Madeleine’,” said AdP Chairman & Chief Executive Officer Pierre Graff. Operating from 6:15am to 9:30pm, the Caviar House and Prunier seafood bar serves dishes such as Kamchatka red king crab, lobster, Balik smoked salmon, Prunier caviar (Traditional or Malossol) and Balik Pearls and Tartare. Up to 40 diners can be served at any one time. This opening marks Ladurée’s debut at Orly and the three-room tea house covers approximately 180sq m. It is open daily from 6am to 9:30pm and the a la carte menu features dishes such as beef fillet a la plancha with puree of baby rattes potatoes, roast fillet of cod with kohlrabi cream and preserved ginger, and chicken vol-au-vent with wild mushrooms. Lighter snacks include black truffle omelettes, club sandwiches, salads and a range of sweet options from the patisserie. Luxury chocolatier La Maison du Chocolat sells products such as ganache macaroons, cocoas, chocolate assortment boxes in several sizes, gift boxes of chocolate truffles and marrons glacés (crystallised chestnuts), as well as snack packs with orangettes (chocolate-dipped candied orange peel) and chocolate-coated almonds. Speciality retailer Mariage Frères sells a range of teas such as white, yellow, green, black, blue, red, matured, compressed, sculpted and fragranced teas. A range of gourmet tea-based confections and a selection of tableware products (teapots, cups, etc.) are also on offer. The opening of the Nespresso outlet marks the first time the brand has opened an airport boutique. Measuring approximately 80sq m and open every day from 6am to 9:15pm, the outlet at Orly West will enable travellers to sample any of the eight premium quality Grands Crus coffee varieties especially selected by Nespresso. Passengers can place their orders by calling the brand’s ‘Club Nespresso’ or by going online, and collect their coffee an hour later from the store's dedicated collections counter. 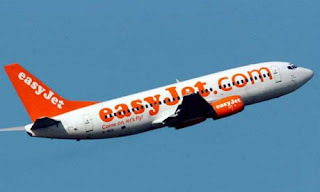 Airline Easyjet has amended its pricing amid government plans to ban excessive surcharges when buying tickets online. The company has introduced a £9 flat administration fee to replace the previous £8 booking fee levied on anyone paying with most debit cards. Consumers buying a ticket online are often charged extra when they tick a box that says they intend to pay using a credit or debit card. Previously, Easyjet charged £8 for all bookings made with a debit card, except for those by Visa Electron. The charge for credit cards was £8 plus 2.5% or £4.95, whichever was greater. Now all bookings will be subject to a £9 administration fee, to end the link to payment options, and be clear at the start of the booking process. The fee will not be affected by the number of passengers on each booking. For the coffee junkies among you I have good news. Starbucks are moving into France. 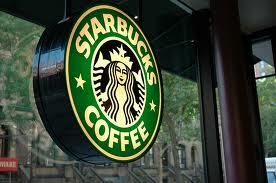 Starbucks spearhead will begin at selected points of sale in France this year. The first stores will be located in railway stations, a channel of strategic importance. Later this year, two stores will open at Marseille Airport in Halls 1 and 4. Watch this space for more news about Starbucks at airports in France. Labels: Starbucks at airports in France. Starbucks at Marseille airport. An Air France flight to Paris from from Houston was obliged to turn around and return to Houston on Tuesday after a mobile phone whose owner could not be identified was found on board. The Boeing 707-200 – flight AF 639 carrying 228 passengers and 15 crew - turned around after 30 minutes of flight, landing at Houston at 6.30 pm local time after the phone was discovered. The passengers’ safety was never in danger, according to an Air France spokesperson who said that the plane took off again after security checks by the American authorities. But the company has no further information on the mobile, which was handed over to US officials. The plane, which was due to arrive at Paris Charles De Gaulle airport at 8.34 am Wednesday, was rescheduled to arrive at 1.29 pm, five hours late. Thanks to Robin at WoW for this post.